After a gloriously long sleep-in today, I decided I would like to spend the rest of the day getting some use out of my Nikon. 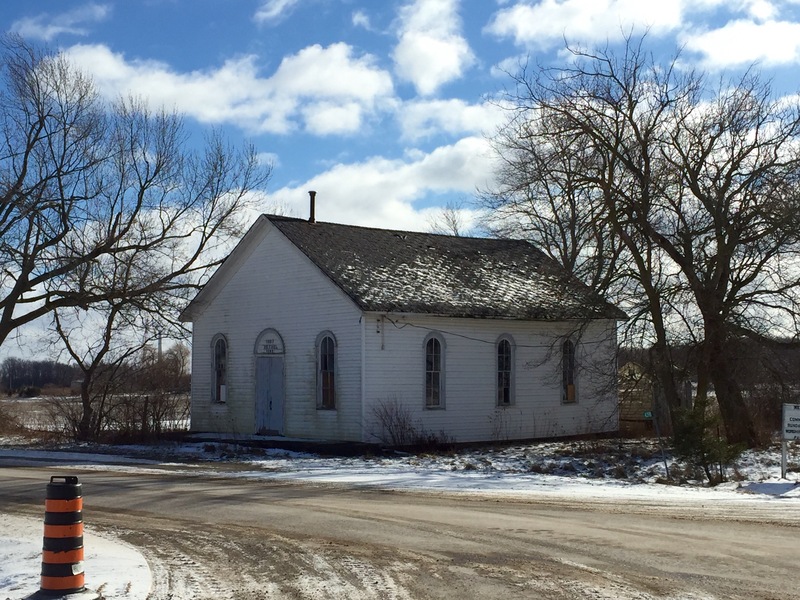 With no solid plans for a destination, I headed out to tour around Haldimand County and see what I could discover. I’ll organize my findings individually below. After at least an hour of driving up and down sideroads, I finally came across the first abandoned place of the day. I had almost relinquished myself to the fact that I would not be seeing anything abandoned in my travels; in fact I had just said it to a friend! 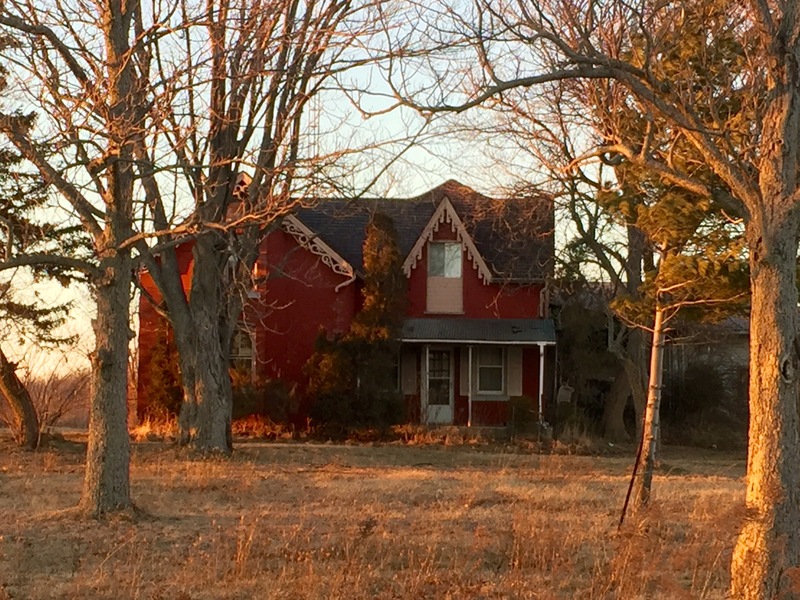 This home is located outside of Cayuga, and is set far back in a field. Luckily I had a zoom lens. Sad to see a home with such beautiful masonry and classic style rotting away. Closer to Selkirk, I passed by this hidden farmhouse. I parked in the laneway and was greeted with a “Property under video surveillance” sign, but since I was only there to take a few photos during the day I wasn’t too worried. I didn’t poke around too much as I didn’t want to get myself in trouble with an angry property owner. I caught a glimpse of some bricks and a steel roof as I drove by a heavily treed property also in the Selkirk area. I parked in the little bit of laneway that wasn’t completely grown over with tall weeds and attempted to get back to the house. Unfortunately I was not as successful as I would have liked. The weeds were so tall they were above my head. I had a t-shirt on and was getting scratched all to hell by burrs and thorns, and mosquitos were having a feast on my arms! I also didn’t want to inadvertently anger a hive of bees or anything like that, which is always a concern at this time of year. I did get a few photos but maybe come winter, I will revisit this one. 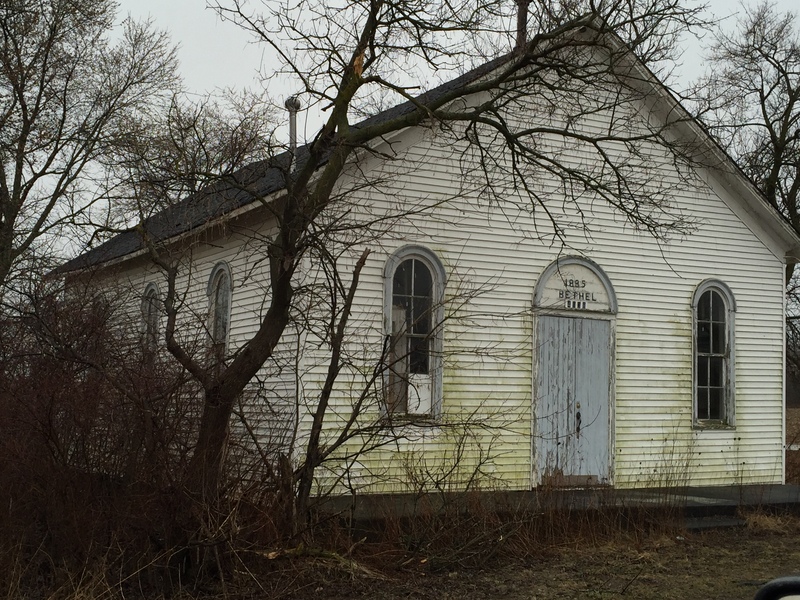 I’m sure Haldimand County has many more abandoned places to discover, but this was the extent of my findings today. Once fall arrives and the tree branches are bare, it will be easier to see hidden homes and barns. It will also mean the end of the bugs – something I look forward to as I try not to scratch these mosquito bites. A small price to pay for having these adventures, right? A 3 Year Hiatus – Finally Over! Life is crazy. Perhaps that is a bit cliche to say, but it really has been the case for the last few years. My career has consumed every part of me, taking all my waking hours and leaving me exhausted and worn down by the time I manage to escape and head home (if I even got to go home, which usually, I did not. Life on the road…). The long hours, 7 day work weeks, stress and pressure of my job completely drained the creativity and adventure from my soul. I recently turned 30 and sort of had an epiphany, or maybe just really got tuned in to what I already knew deep down inside… that this is absolutely, 110% not how I want the rest of my life to go. Yes, I make a generous salary and yes, people around me have often commented on the ‘luxuries’ I am able to afford… yet, all of it means absolutely nothing. The realization that things – material items, possessions – mean nothing and have zero impact on your happiness and satisfaction with life… has hit me like a freight train. I have completely re-arranged my priorities in life and am creating a plan to exit my mainstream, high paying, high stress career and downsize my entire life into one that I can manage on a shoestring budget. The quality of my life comes from my relationships, my family, my creative spirit, adventure and freedom. Spending all my hours slaving to make someone else rich has done nothing but leave me empty and miserable. So, what does this realization mean for this blog? Well, it means that the Bandit is back, and back with a rekindled fire in her heart. 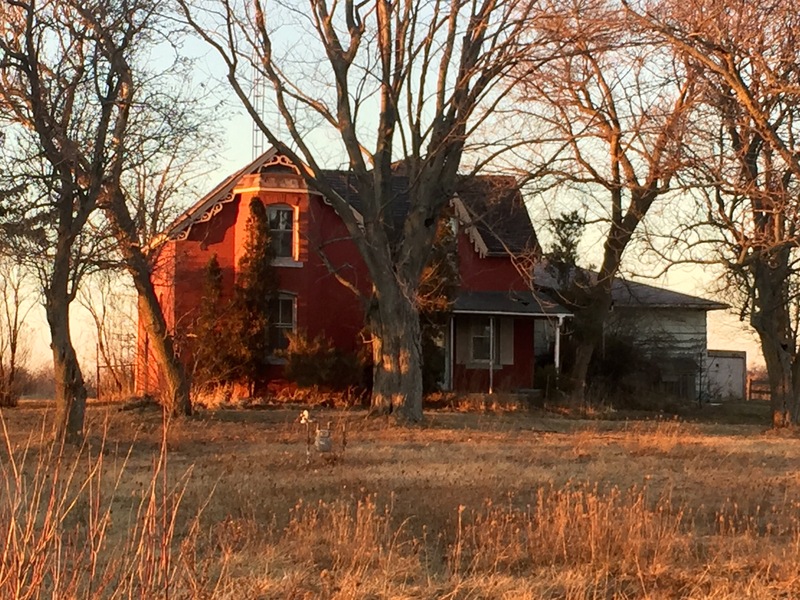 I have never stopped looking for abandoned houses and old barns wherever I go. My eyes are always scanning the landscape for that one telltale broken window or overgown laneway, completely devoid of tire tracks. I have seen so many in the past 3 years, all of which I was just too busy to stop and take a quick photo. Every time I would tell myself, ‘I’ll do a tour around on my next day off…’ which of course never materialized. No more! I am making a promise to you, the dedicated readers who still check this page, and you, the fans who still email out of the blue and ‘Like’ our Facebook page – The Bandit is back and I have so much to share with all of you. Thank you all for never forgetting about the County Bandits. This is the 9th year of hunting and adventure; hard to believe! Today I have 2 places to share, so lets get to it! 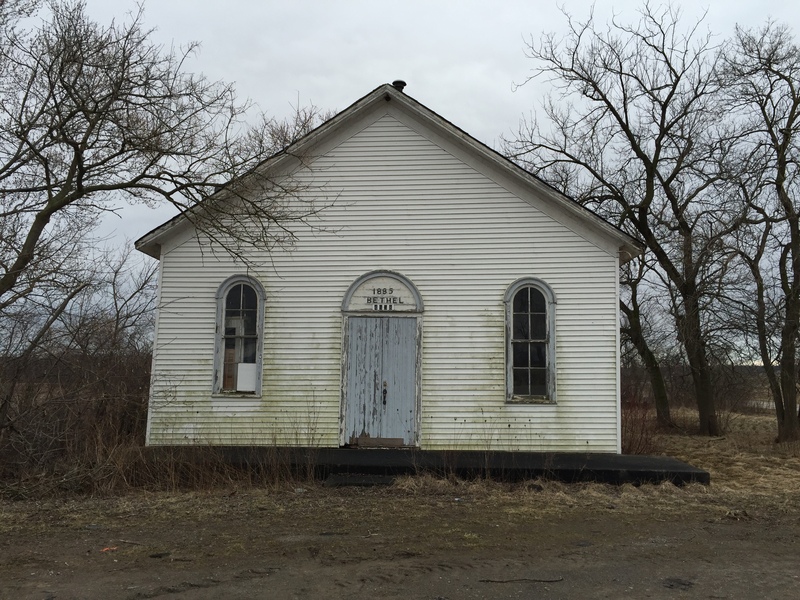 The first is a tiny white Church in the Township of West Lincoln. Built in 1885, it is now abandoned and I often wonder how long it has sat that way. One of these days, I am absolutely going to go take a peek inside the windows and snap some photos that way as well. Looking in the front windows from the road, I can see a bookshelf and some other stacked up furniture. I wonder if there are beautiful original pews inside? 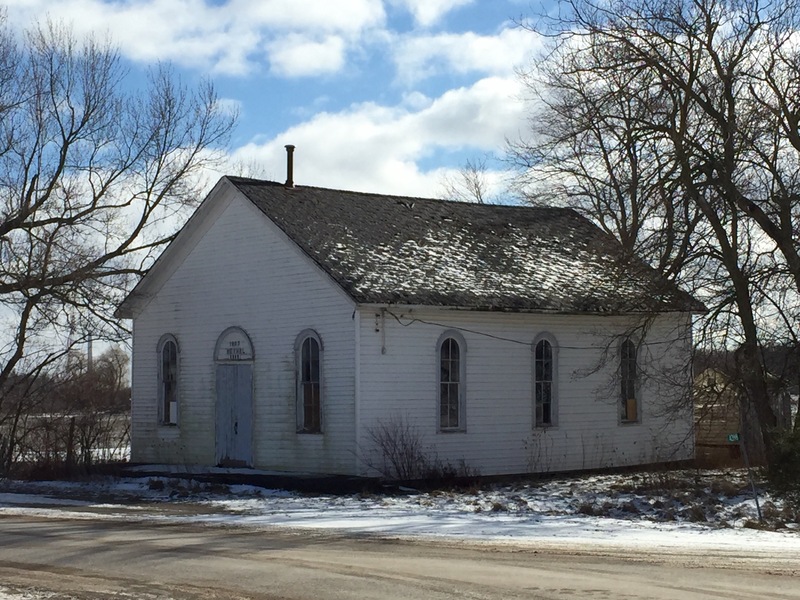 For the moment I will have to keep wondering, but watch for an update on this beautiful country Church. 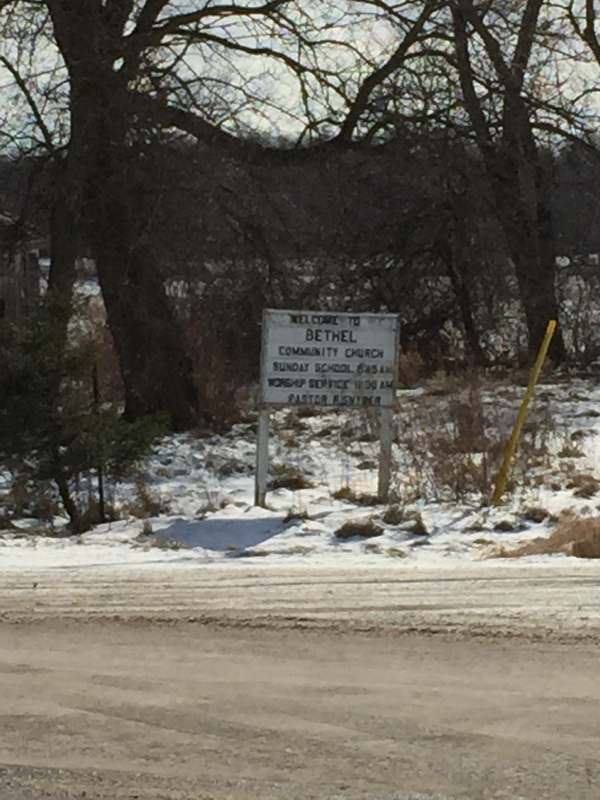 This second property is located near Empire Corners in Haldimand County. I’m not sure it truly qualifies as abdoned so much as it just seems… empty, but I really wanted to post it because of an anomoly that appeared in one of the photos. 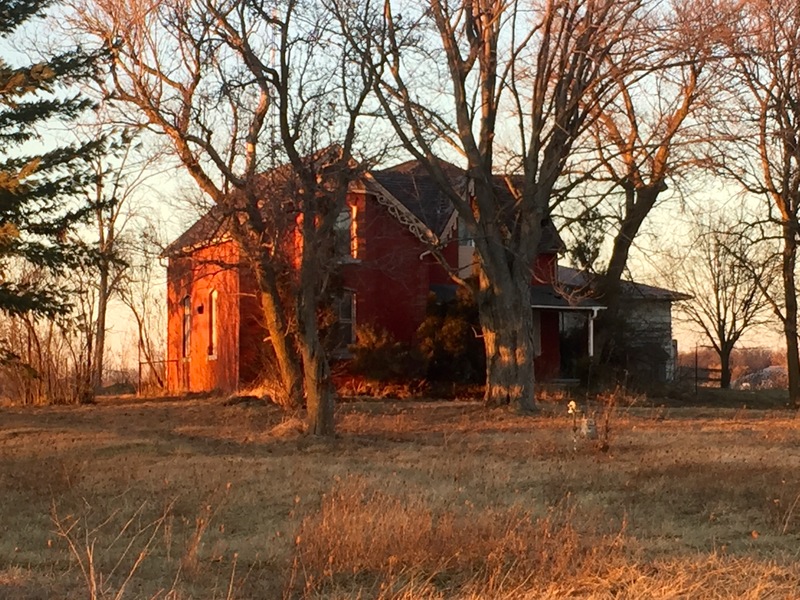 I drive by this century brick farmhouse every day on my way to and from work and admire it each day. I finally stopped on the road and snapped a few quick photos from my iPhone and then carried on before traffic approached from behind me. I sent these photos to a friend and never thought too much about them. 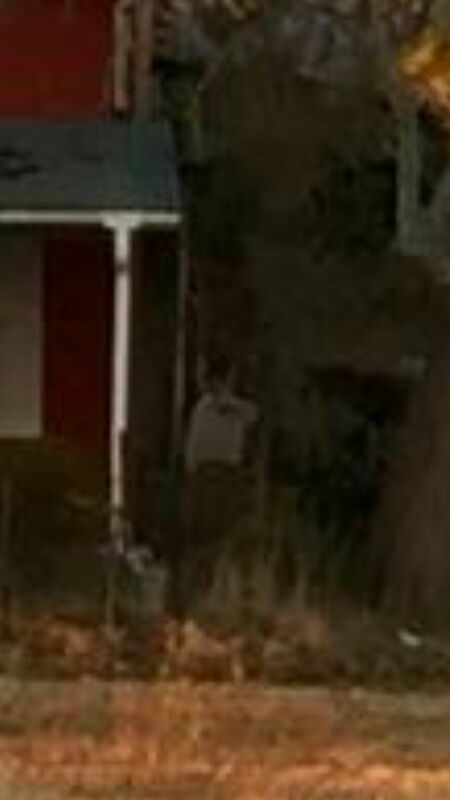 A few weeks went by and my friend send me a text that said, hey, I think you captured a spirit in one of the photos of the house. He cropped and zoomed in on the anomoly, so enjoy the original photos and draw your own conclusion.